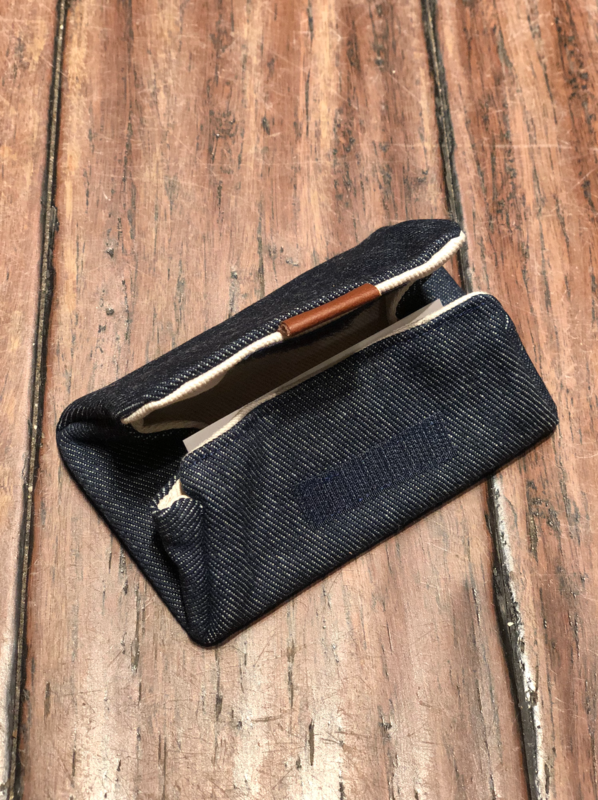 A folded fabric notion case. Made of sturdy cotton, it opens and stands like a little box for easy access. The Mini will store your small scissors, needles and markers while you knit. The Big Brother case will store all of your knitting, crochet or sewing notions and even more, like pens, money, cards and jewelry. Pouch also has velcro for easy closure and a little leather tab. Big Brother: 8" x 5"